Kori Rush specializes in mobile friendly responsive website development working primarily within the MODX Content Management Framework. I am a Portland, Oregon native, Mama to three crazy kids ages 14-19, and also a website developer specializing in MODX Content Management Framework & System development, design, and website deployment. Frogabog provides Portland area companies with an affordable source of online marketing. I am proud to be a MODX Ambassador, charged with the task of helping to promote awareness and information about MODX in my local area. I share this task with the very talented JP Devries, who specialized in Web Development and Object-Oriented Programming here in Portland. 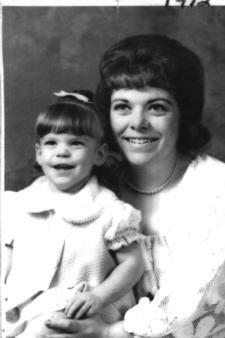 I don't have a lot of pictures of me, and even less of anything recent, so here's me and my mom in 1972. Being a small business owner myself, understanding the limits of small businesses in regards to online marketing is key to my objective of offering an alternative to full or part time webmasters and developers. Not every business can justify a full IT department, and many of course, can't justify even one IT employee, part time or full. content management, site hosting or site host management, and online marketing designed to produce the results you need to be successful.